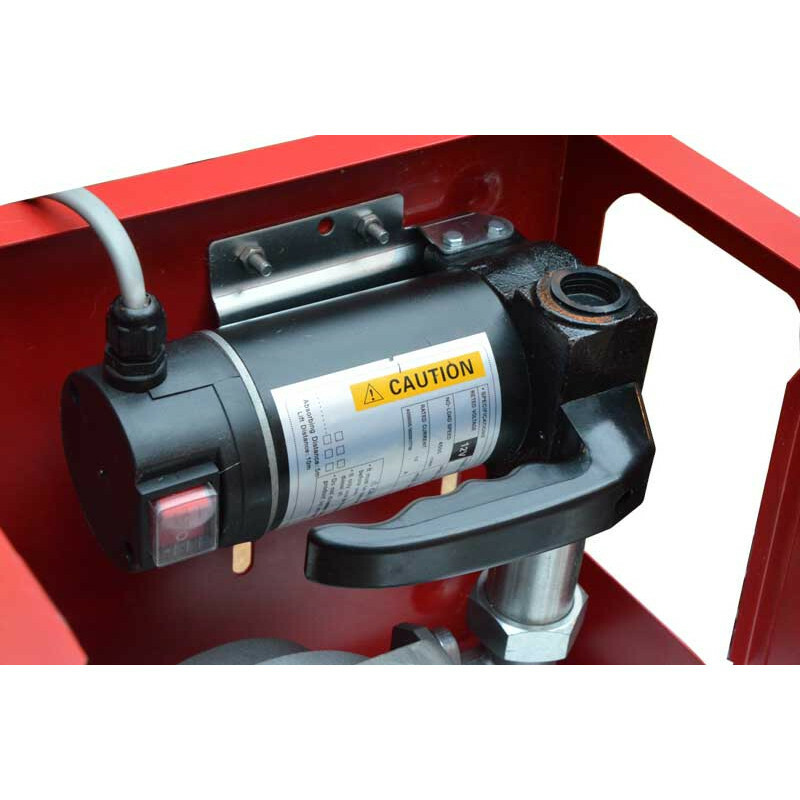 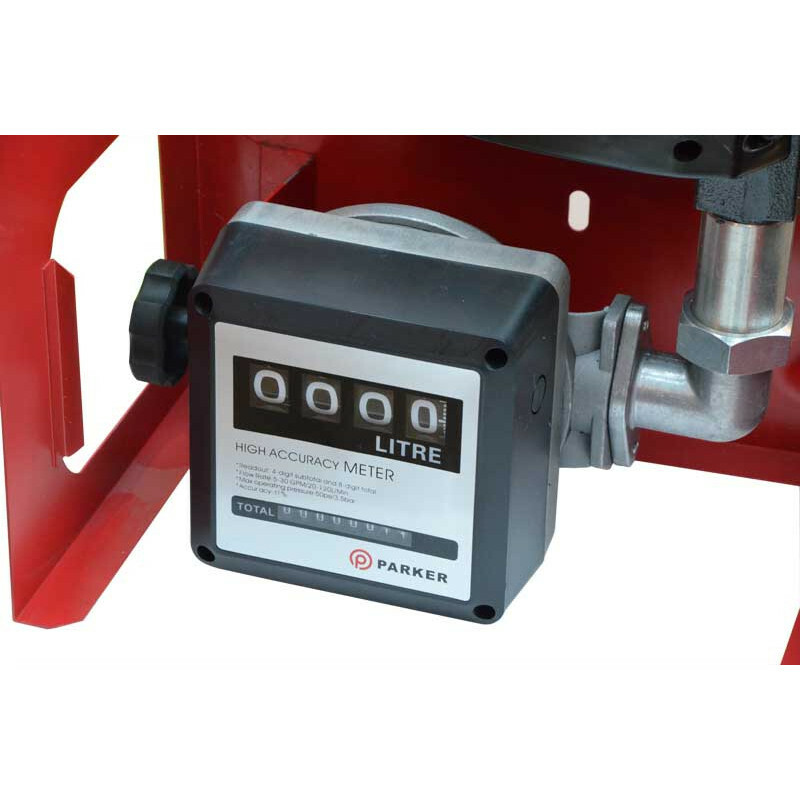 Monitor fuel usage more accurately with the Parker portable 24v diesel transfer fuel pump kit which includes a 4-digit mechanical fuel meter, a manual dispensing nozzle and a fully enclosed housing for easy transportation or wall mounting. 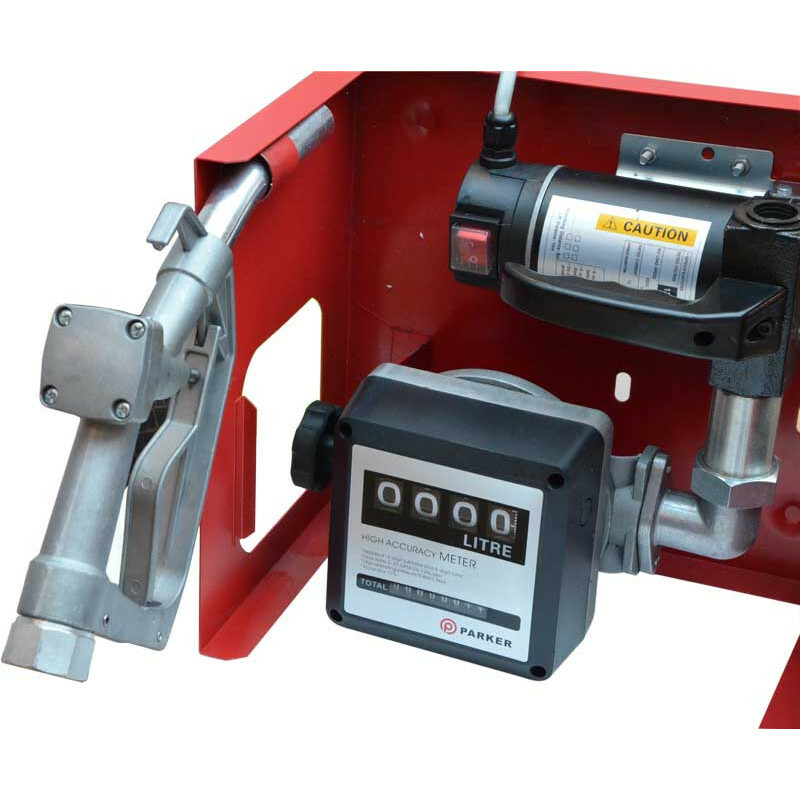 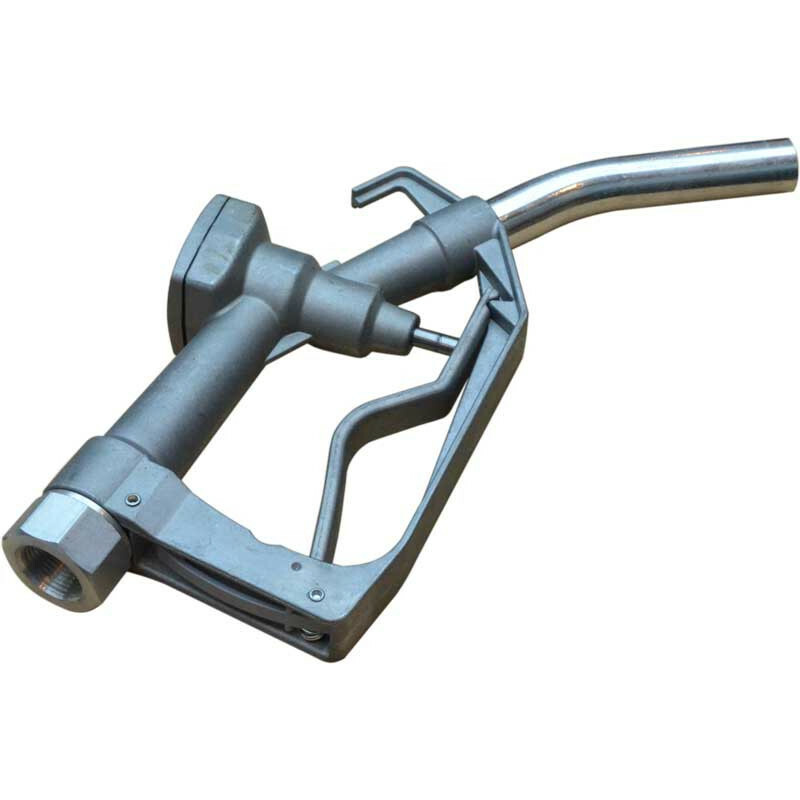 Ideal for transferring diesel and other fuels from barrels or drums the integrated mobile 24V fuel transfer system includes everything you'll need for a reliable, hassle-free operation. The efficient 24v pump has a swift flow rate of 55litres per minute and connects to your vehicle battery using tough crocodile clips for easy set-up. 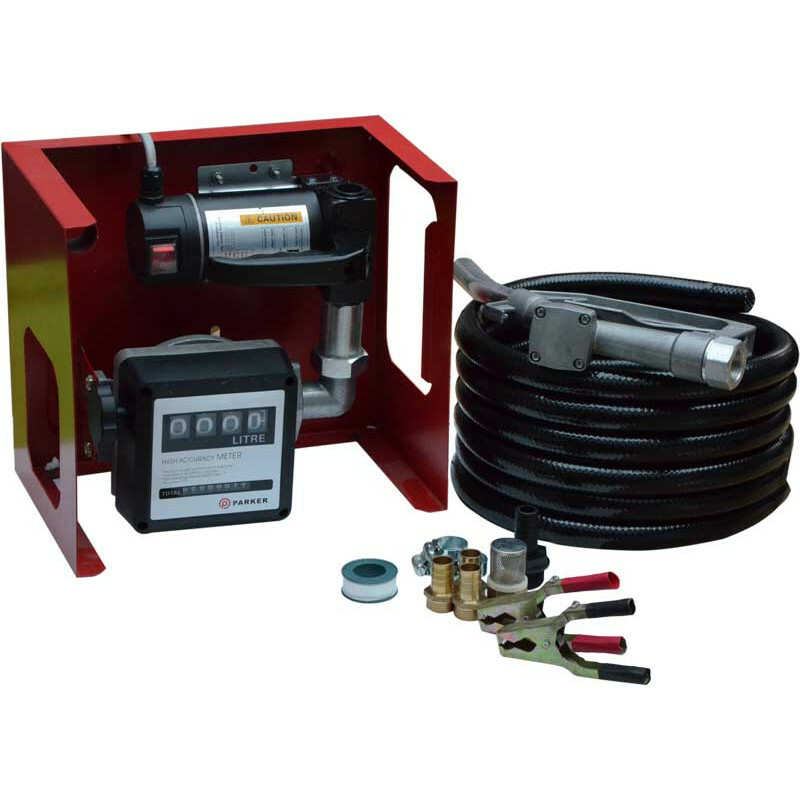 Our exclusive fuel transfer pack offers the best value for money, coming bundled with a host of accessories including a reinforced PVC hose, a host of universal hose adaptors and all the fixings needed to get started straight away.